The Stockholm Dialogue is a response to what Pope Francis invites us into in Laudato si’ – a new dialogue, a social transformation towards a global agenda for social inclusion and Earth Care. Exploring the role of values in sustainability science provides an opportunity to assess how meaningful and sustainable social and ecological transformation can be brought about. 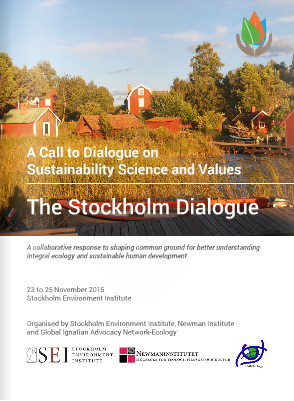 Members of the Global Ignatian Advocacy Network (GIAN)-Ecology entered into the second day of the Stockholm Dialogue to explore with members of the Stockholm Environment Institute (SEI) the relationship between scientific objectivity and social urgency inherent in what we know as sustainability science – a science that emphasises and aims to put into practical action, the social transformation that embraces social inclusion and environmental integrity. 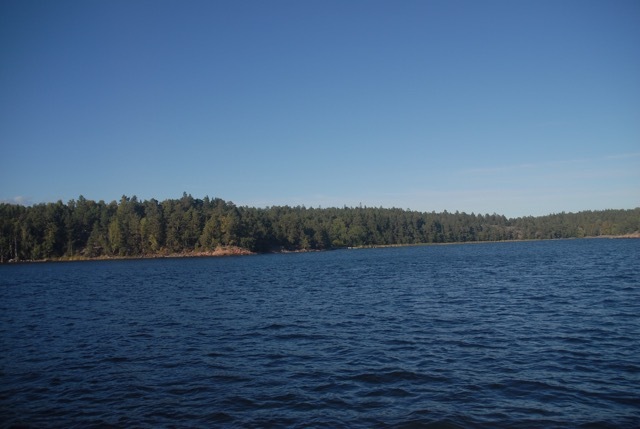 One of the islands near Stockholm on a clear day, remembering the life and the land as we seek to keep the exchange open and creative. Facilitated by Jose Ignacio Garcia, SJ, the second day of the Dialogue opened with a call for a mind-shift. 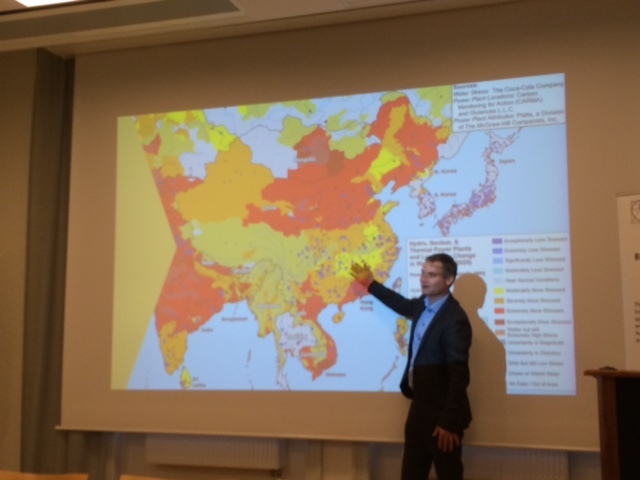 In bringing about this mind-shift, Robert Watt from the SEI emphasised the importance of not only communicating science, but communicating values through the ways in which science is formulated, conducted, and reported. A challenge to this however, is that while science and the communication of science focus on logos (reason, logic, and rationality), this is often to the detriment of ethos (in terms of credibility), and pathos (in terms of values and beliefs). To achieve effective communication, all aspects of this triad are required in a way that fits with the value system of society. However, in the age of information saturation, communication in sustainability science must consider and reflect on the volume of information that is being shared, access to and ownership of information, and transparency in decision making and communication processes. Carmen Valor from the Faculty of Economics and Business from the Universidad Pontificia Comillas in Spain informed us that if we want to move forward, we need a different type of approach that doesn’t just aim to just promote changes within the system, but instead changes the very system itself. Strategies for this purpose need to encompass interdisciplinary approaches in research and action that embrace and include in a symbiotic relationship, the level of the individual agent, organizational fields, and the various ideological contexts, paradigms and discourses that shape everyday life. Evidence of a different approach in undertaking science was provided by SEI’s Fiona Lambe, who by using the example of promoting cooking stoves among communities in developing countries, showed that the process of sustainable science is essentially about experiencing, listening, and empowering communities and local stakeholders in the research process. Michael Czerny, SJ invited us to reflect on the role of religion, and in particular the encyclical, in social transformation. While the papal document is not a policy document, it targets policy making and is therefore hugely significant within the wider context of the newly established Sustainable Development Goals and COP21. Since the Interfaith Summit in New York in September 2014, various religious perspectives have actively strengthened and made explicit their declarations of faith that incorporate the need for urgent commitment to address climate change impacts. These faith declarations are formally presented to COP21, and with the potential for policy impact, they offer a bridge between what can be essentially regarded as the point and platform of scripture – heart and mind – and the world of environmental and climate policy. Laudato si’ offers much guidance. It teaches us that “when the culture itself is corrupt and objective truth and universally valid principles are no longer upheld, then laws can only be seen as arbitrary impositions or obstacles to be avoided” (LS 123). We are reminded that “a healthy politics needs to be able to take up this challenge” (LS 197). The encyclical reminds us there can be no separation between science and values “when we feel God is calling us to intervene with others in these social dynamics, we should realize that this too is part of our spirituality, which is an exercise of charity and, as such, matures and sanctifies us” (LS 232). 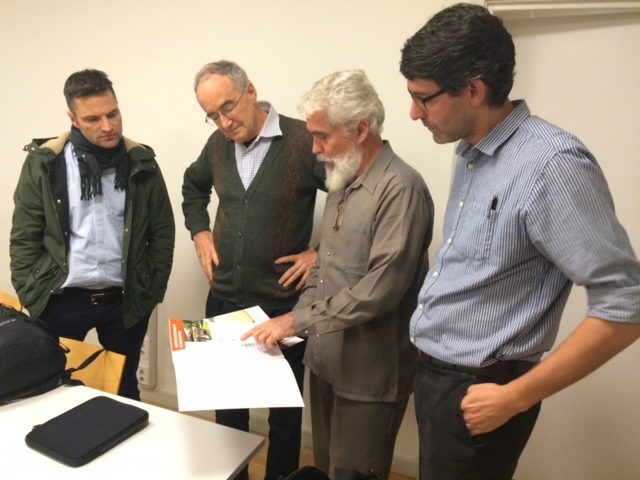 Jesuits seek to engage with the three calls: on sustainability science and values, on a world at risk, and on inner life and simplicity – with Scholastic Henry Longbottom from the UK, Michael Czerny from Rome, Pedro Walpole from the Philippines, and Jaime Tatay from Spain. In the late morning, the session was divided into four specific dialogue sessions. The Instilling Hope dialogue space acknowledged that there is a tendency for us to become disillusioned when trying to achieve real effective change – spaces for reflection and trust are important in instilling hope, as is an acceptance of failure, a key attribute of Laudato si’. Stories are a crucial ingredient to building communities, and this is important for influencing discourse. The Storytelling session found that focusing on personal stories can provide a useful way of empowering and activating citizens, providing an important space for explanation and discovery, as well as a platform for communicating science. However, storytelling in science can also be coercive; this propensity needs to be navigated carefully, and the use and presentation of individual stories in sustainability science need to be insightful of the human story. The Joint Learning session observed that filling the gap between scientific exploration and social change within communities, remains a challenge. A marriage between science and values provides one approach for addressing this gap, but this requires a flexibility that allows for science to become part of the solution rather than the problem, that allows for research to experience rather than primarily gather. The session What Change Are We Looking For recognised that while realising a mind-shift is required for sustainability science, this shift should essentially be about creating relationships between people. A central goal in sustainability science should be to first visualise a wished future prior to establishing specific goals. This process is carried forward by engaging in active dialogue.